Q: Why write dystopian fiction? 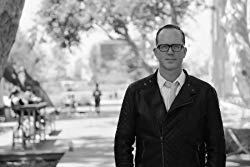 Jeff: Dystopian writing, and speculative fiction in general, has always been lumped in with genre fiction. Which isn’t wrong, but it also minimizes how important speculative fiction can be. It provides a way to look at our own world through a completely new mirror. It lets us focus on one aspect of human nature—in this case, the importance of age to a stable society—and stretch and bend and twist it until we get a truer sense of who we really are. I’m less interested in the grim and futuristic aspects that can be a part of dystopian fiction and more interested in what it says about who we can become. Q: Tell us about your writing process. Jeff: My writing process is shaped primarily by my time as a journalist, where we were taught over and over to eliminate deadwood. Every word on the page is carefully placed, but I tend not to get precious about them. I try to think about the words I use and ask myself: has this been said before? Instead of saying “her heart raced,”which is a useful shorthand but also a cliché, I try to think about what my character is actually feeling. I have a journalist’s aversion to adverbs. I’m not sure how many are in Mayfly, but I’d be surprised if it were much more than 10! Rhythm of the words is really crucial to me—a lot of times I’ll read what I’ve written out loud to make sure the paragraphs almost pulse. I’m inspired by riding motorcycles, oddly—when you pass by cars on a motorcycle, you can’t focus on each one, and so you see a little blur and a little chuff of sound. Then you look at something, just for a moment longer than normal, and then it fades into a blur. I try to capture that feeling when I write. I try to write every day, even if for just a little bit, because that way the story never leaves my mind. I’ll typically write for a while, go walk my dog until I can sneak a peek of the LA skyline, which somehow activates the portion of my brain that thinks about story. The next day’s story usually comes to me then, and I dictate it to myself or run and home quickly take notes. That’s the way the creative process works, I think—it never comes right at you. Creativity always lives in the margins. The challenge of promoting a book via GIFs is that there’s no inherent visual to work around, as there would be with a movie or TV show. One approach was to create reaction GIFs (the most common type of GIF searched for) around frequent search terms—but featuring people reading Mayfly. The other approach was to create a series of objects that would be important in the world of Mayfly—most notably, Jemma’s hatchet—and shoot them almost like a post-apocalyptic QVC channel! Q: What’s this experience been like? You’ve worked in advertising for a long time and are now promoting your book! Jeff: The hardest part was finding the time in an industry known for its long hours. I wrote Mayfly with a full-time job and three kids. The only time to write was after 10. I had to create a standing desk to keep from falling asleep. Even then, I dozed off on my feet. I finished my novel at 12:10 a.m. drinking from a glass of whisky and a mug of coffee in equal measures. Working in advertising and PR gave me a pretty good foundation of how to help market my book, although there was (and is) a lot I had to learn about the advertising industry. I think most authors work really hard to promote their books even beyond what a publisher can do. I’m just fortunate to have the expertise and connections to go further! Q: Tell us about Mayfly's Los Angeles scavenger hunt. This seems so cool! 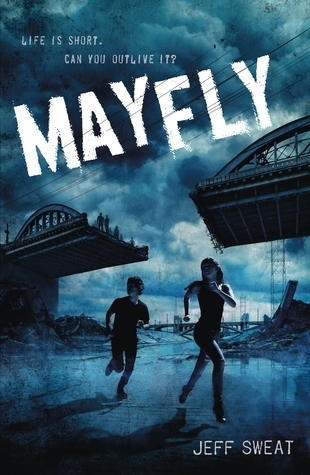 Jeff: Mayfly is the story of a few brave kids going out into a world that’s covered in clues and codes in search of the answers that might change their fate. It’s also set in a very real city—it just takes place in the future. I wanted to be able to share with readers the world I’d imagined. This has led to Mayfly Quest: Decoding Ell Aye, a parallel story that puts readers in the shoes of Mayfly’s main characters so they can solve puzzles our lead characters missed. This unlocks bonus content, untold stories, and even prizes. While the quest is mostly digital, it’s got some real-world elements for die-hard fans to come find an experience. And the real-world elements are built to draw in people who haven’t heard of Mayfly, letting them know there’s a quest afoot. Q: Generation K: What is it, and why might they be more inclined to read Dystopian Lit? Jeff: We did something unusual for Mayfly—one of my advertising agency clients, North, created a “customer journey” of potential Mayfly readers. One of their fascinating insights is that there’s a subsection of Gen Z that researchers call Generation K—as in, Generation Katniss. They view life almost as if it were a dystopian landscape, and so are primed for stories that seem to illustrate their struggle for safety, health and human rights. The best example of this has been the Parkland survivors and how they’ve stepped up to provide leadership where adults have failed. The dedication to my book reads, “To the children who hold the world together, whether they asked to hold the world or not.” I never thought I would see it lived so literally!